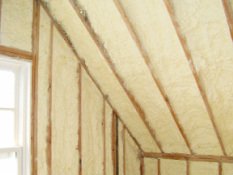 We offer a great selection of insulation options to protect your home or business. Don't let inferior products cause you to lose the comfortable temperatures you desire. The right insulation application can protect you from uncomfortable climate and noise while saving you money on heating and cooling. Our experts can make the process even easier by applying our foam insulation for you. Stop by or call today to get more details and pricing.